The Los Angeles Dodgers were picked by 43 of 44 baseball analysts to make the postseason as the National League West champion. Count me among that minority in thinking they will get in some other way. The team to the North has pitching, offense, management, and the attitude to knock them out of that spot and I have no problem stating it publicly. That’s why they play the games, right? To see who exactly will come out of the other end the victor. That isn’t to say Los Angeles has a bad team, just not a team as constituted that is ready to repeat as NL West champs and win the World Series. As for the others, there is work to be done for them to enter the conversation. Arizona has a nice team, but when Patrick Corbin went down with a ligament tear in his elbow so too went this teams Ace. The Padres have the makings of a dark horse, but a closer look will reveal they have neither the pitching OR the lineup to keep up in a division you need both to compete in. The Rockies also have something going, but until they prove their staff as a whole can keep them in games I’m counting on them bringing up the rear again. 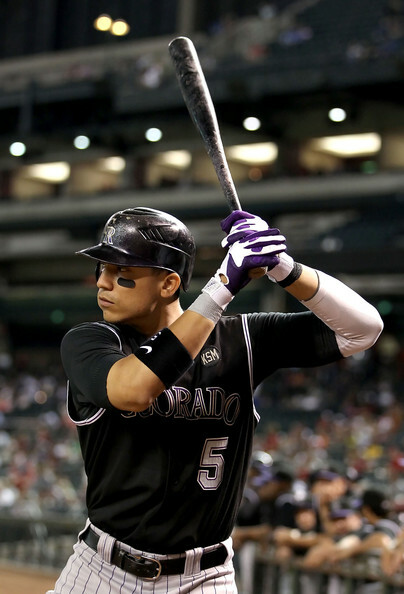 Division’s Best Player: Carlos Gonzalez, Colorado Rockies (26 HR, 70 RBI, 21 SB, .302 BA, .367 OBP, .958 OPS)- At this point it is time to start recognizing what this guy is doing on a consistent basis. If he were in Los Angeles, New York, Chicago, or Boston he’d be a superstar; instead he’s in Colorado doing superstar baseball player things. He’s already won a batting title (2010), and he has three Gold Gloves to his name (2010, 2012-2013), and he’s been a 3 WAR player since he’s been in the league (career 19.4 WAR). His name doesn’t get thrown around the water cooler at work as often as it probably should, but make no mistake if he gets put in the right situation this is an MVP caliber player. Sure he has Coors Field behind him, but numbers are numbers no matter how they shake out at the end of a season. 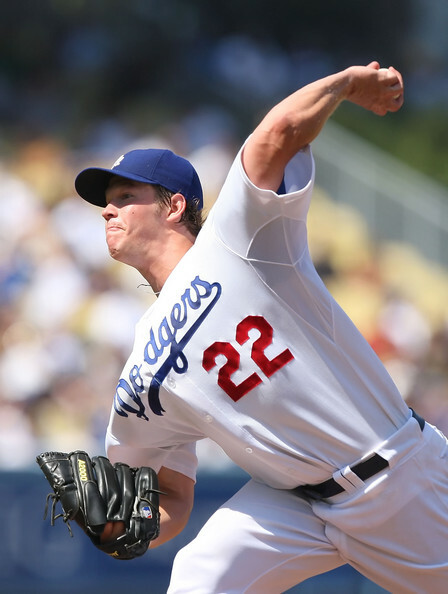 Division’s Best Pitcher: Clayton Kershaw, Los Angeles Dodgers (16-9, 1.83 ERA, 0.915 WHIP, 232 K’s, 8.8 K’s/9)- He’s the best pitcher in baseball right now, and quite possibly the best player. He debuted in 2008 and hasn’t had an ERA in the 3’s since then. His ERA in 2013 was 1.83, the lowest ERA since 1999 when Pedro Martinez’s 1.74 ERA. He’s 26 and getting better with age, he is out until mid-May with a back injury, but if the Dodgers can hold the fort until then he shouldn’t have a problem making up for lost time. Division’s Best Manager: Bruce Bochy, San Francisco Giants- Two championships in San Francisco will put you in this spot for a while. Lets not forget he was good in San Diego as well. Still uses the tools of ignorance from his playing days with his MVP student, Buster Posey, and that pitching staff in San Francisco. I expect Bochy will lead the Giants back to the postseason. Division’s ‘X’ Factor: Matt Kemp, Los Angeles Dodgers- In 2011 I thought Matt Kemp should have been the National League MVP. Two years later here we are talking about Kemp as an ‘X’ Factor and not as the best player in baseball. Injuries have robbed us of seeing one of the best all-around athletes baseball has seen in a long time, but he’s just 28, and all signs point to him being healthy in 2014. That is great news for the Dodgers because they are going to need this guy to do what he does on a nightly basis if they have any shot at winning this division, the National League and the World Series. I like the Giants and what they have coming into 2014. I feel they have the best rotation top to bottom in the National League West. 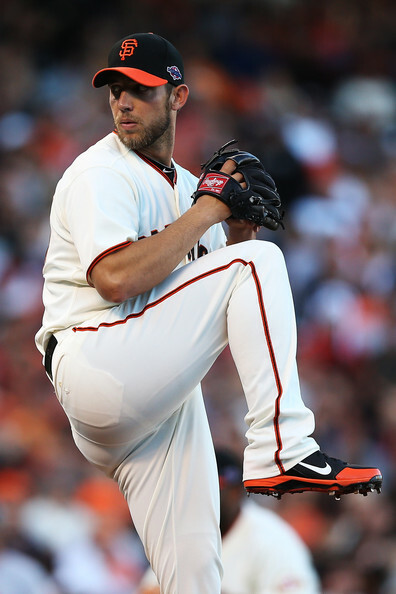 Madison Bumgarner is becoming that “Next Level” lefty in the bigs, while Matt Cain is comfortably settling into the number two spot. After them two-time Cy Young award winner Tim Lincecum are evolving into more of a pitcher while the coup-of-the-offseason signing of Tim Hudson to act as mentor to the staff (Lincecum in particular) fortifies this rotation. The lineup is strong with Hunter Pence, Pablo Sandoval, and former MVP Buster Posey. They’ll need Angel Pagan to take hold of center field and that leadoff spot, and if Brandon Belt’s adjustments carry over this could be a team that makes the postseason as more than a Wild Card (sorry Dodger fans). There don’t seem to be many holes in this team right now, which doesn’t bode well for the competition when you consider they seem to relish the “under the radar” moniker. 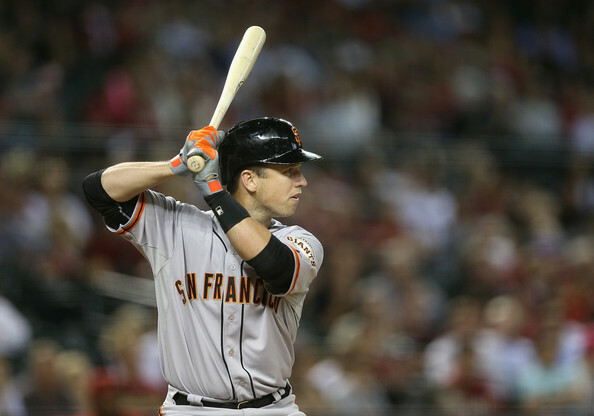 If the National League isn’t careful, the Giants could win a third title in five years. Fun Fact: if they do, we might have to start watching for them every time an Olympics rolls around. The Dodgers run in 2013 could be summed up in one word: Puig. But that would also be devaluing the contributions of a number of other Dodgers integral to that team’s success. For starters, they have the best pitcher on the planet in Clayton Kershaw. They also feature a lineup of what I like to call “professional hitters” in Hanley Ramirez, Adrian Gonzalez, and Andre Ethier. It would be easy to simply say the only thing keeping the Dodgers from winning the West is something catastrophic. It is slightly more complicated than that. Clayton Kershaw is out until at least mid-May (a conservative estimate) that is a huge problem, every other day Yasiel Puig is in the news for the wrong reasons (not to mention I expect a regression in his production), and that bullpen isn’t as stellar as many think despite the presence of Kenley Jansen closing games full-time this season. The Dodgers do have the best lineup in this division, and a healthy return to form from Matt Kemp takes it to another level. I can’t speak to how long the rotation can survive without Kershaw at the top of it, but if Greinke can prove the appropriate co-Ace while Ryu, Dan Haren, and Paul Maholm hold the fort behind him they could be fine. But the pitching has to pick up the slack in the absence of Kershaw or this division will get tight in a hurry, and I’m just not sure it can. That hesitance makes them the number two out West. The Padres enter 2014 with a lot of optimism. They do have reason, they went (34-32) in the second half and played good baseball leading up to the break. That was without their All-Star shortstop Everth Cabrera who missed the majority of the second-half due to PED suspension. 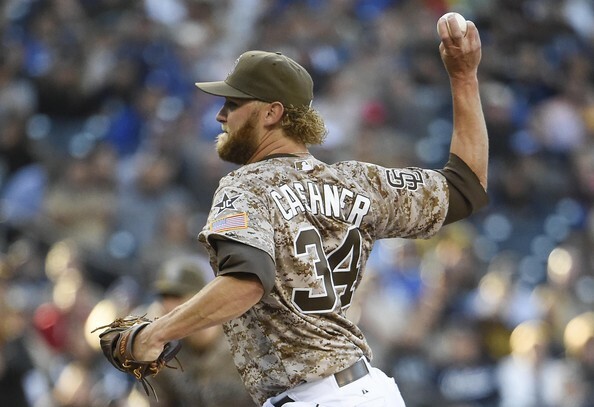 Andrew Cashner reminds me a lot of John Smoltz and has the talent to back that statement up. They brought in Ian Kennedy to provide quality depth to the rotation and if Chase Headley bounces back the lineup could make some things happen. Unfortunately the overall team isn’t quite as strong as its divisional counterparts. Jedd Gyorko hasn’t sold me yet on his ability as an everyday second basemen. His 15 home runs in the second-half were impressive, but to do that I feel he had to sacrifice a lot of other things (he hit .226 with an OBP of .271). The Padres also have Will Venable in the fold, but at 31 he’s shown what he is as a player (despite the 20/20 season last year). The Padres need a couple of pieces before they take the next step, but all signs point to them heading in that direction with the right foundation. The Diamondbacks are a hard team to figure out. I guess that is evident by their .500 finish last season. I picked them sleeper playoff candidate in 2013 but I don’t see that this season. 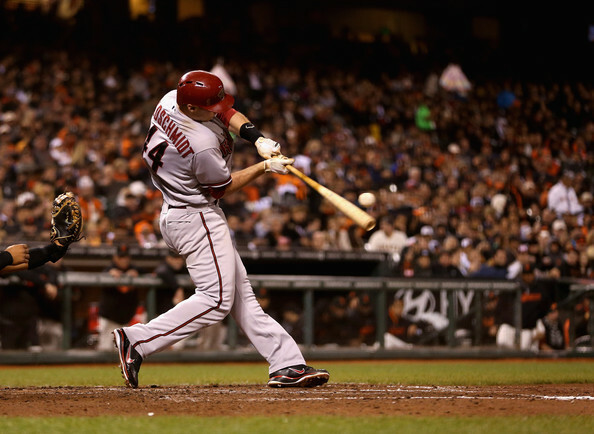 Paul Goldschmidt is their star at first base, and I look forward to seeing what he does in 2014. After that there are a host of issues. A.J. Pollock just isn’t getting it done in center, Gerardo Parra has regressed offensively every season since 2010, and the addition of Trumbo brings home run power but not much else. The staff without Patrick Corbin will have issues as Wade Miley now becomes their Ace. Not necessarily a bad thing but I like him better pitching the day AFTER the best guy. Bronson Arroyo will eat innings, but counting on him and McCarthy to do much more than that is asking a lot. We won’t even discuss Randall Delgado, either. All told I think the Diamondbacks took a step back until the next wave of their farm can make an impact. The Rockies offense is one that can hang runs on you in a hurry. Carlos Gonzalez, Troy Tulowitzki, Michael Cuddyer, and Wilin Rosario are legitimate mashers. Justin Morneau only adds to the party, really. But I’ve long said all they need is pitching and they’ve yet to truly address it. Call it the thin air or call it scouting, whatever ‘it’ is has kept this team from taking a step they have the offense to take. Now it appears Jordan Lyles is one step in the right direction, but if Jorge De La Rosa and Brett Anderson can’t give him help then it will be another long season in Denver. Even with a bullpen capable of closing out games with Rex Brothers and Latroy Hawkins all of it is moot if they can’t handle innings 1-7.